The British Vice-Admiral and Arctic explorer Sir George Nares (1831-1915) received several honours for his contributions to science, including a fellowship of the Royal Society. He attended the Royal Naval School, New Cross, before joining the service in 1845. After a varied early career and the successful Challenger scientific expedition in the Atlantic, he took command of the British Arctic expedition of 1875-6 that hoped to reach the North Pole. Nares' popular two-volume account of the journey was published in 1878. Volume 1 describes the journey north, and covers the discovery of the channel later called Nares Strait, and the remarkable dog-sled expedition of second-in-command, Albert Markham, that set a new record for the farthest distance north achieved. 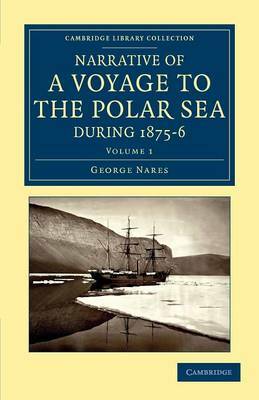 Nares' official report of the expedition and Markham's account of the journey, The Great Frozen Sea, are also available from the Cambridge Library Collection.